When President Trump was running for president in 2016, one of the key components of his platform was a $1.5 trillion infrastructure spending bill that he claimed would be mostly funded by private investment. Of the $1.5 trillion proposed in the bill, about $200 billion would come from the federal government. In April 2018, Congress approved the first $21 billion of those dollars, and the plan in place looks like that money will significantly benefit the construction industry. The evidence as to how beneficial the entire spending bill will be for the construction industry can be found in many of its subcategories. For example, it is estimated that as much as $7 billion of the $1.3 trillion will be spent on asphalt alone. This includes projects ranging from road reconstruction to airport improvements and represents a massive boost to the asphalt materials industry. Any infrastructure spending bill is going to benefit the construction industry, but this aggressive spending program will pump billions of dollars into the construction economy over several years. 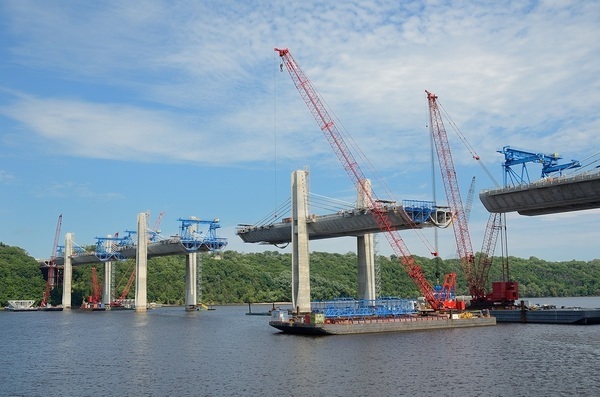 Bridge construction is a big part of the new infrastructure spending bill. It is estimated that around $9 billion of the first $21 billion is being used for construction projects. These include building new airports, refurbishing airports, repairing water lines, repairing and replacing rail lines, and a variety of highway refurbishing and construction projects. While some of these funds will be used for administrative and research purposes within the construction industry, much of this money will go to paying workers and buying materials. The obvious construction spending adds up to billions of dollars in this first omnibus spending bill, but other parts of the plan can also benefit construction. Around $25 million will be spent expanding broadband Internet services to rural areas, and that will include building new towers and other structures to support the new broadband equipment. Approximately $1.1 billion is going to be spent on facilities for government, justice, and science organizations, which will include new building construction and updating current facilities. 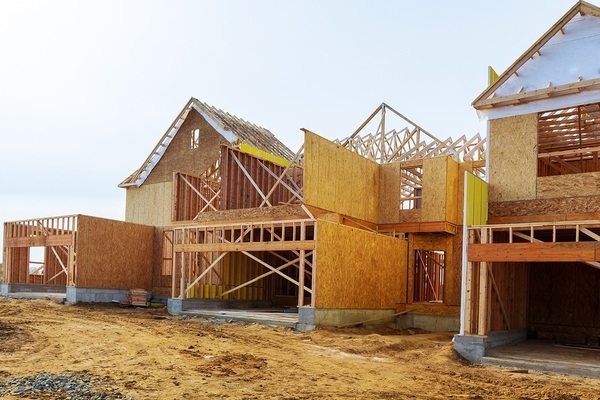 The National Association of Home Builders reported that materials sales for the construction industry were down from February 2017 to February 2018. It was also reported that new construction project starts in February 2018 were three percent down from January 2018. If the construction industry could ever use a shot in the arm, the second quarter of 2018 would be the time. This omnibus spending bill comes at a time when important parts of the construction industry are struggling to see month-to-month and year-to-year gains. If you want your construction company to be able to take advantage of these exciting new federal budget developments, then you need to start utilizing the resources found at PDH Contractors. With PDH Contractors, it is like sending your workers to contractor school for a fraction of the cost. You can browse courses by state to find the licensing classes or specialized certification classes you need to get you and your workers properly licensed in your state. PDH Contractors also has the latest construction information that you can use to stay ahead of the competition and grow your business.